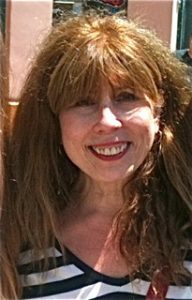 Screenwriter and WGA member with a 30-year career in television as a comedy and animation writer. 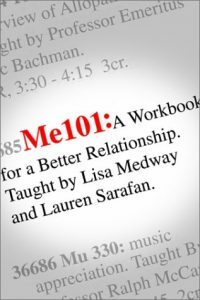 Ms. Medway has written humorous essays for Parenting, is the author of an eponymous award-winning column for Copley Newspapers, and the co-author of ME 101: A Workbook for a Better Relationship. Her stories have been performed at UCB, SIT ‘N SPIN and the Writers Guild and she is the recipient of a UCLA Extension Outstanding Instructor Award in Screenwriting. Tragedy shines a light on despair and comedy helps us celebrate the absurdity of Life. Creative Non-Fiction is stand-up comedy for introverts. Whether your passion is pop-culture, family life, dating, shopping, collecting or first person narcissism, humorous prose is the happy marriage between a wicked sense of humor and a lust for language. Do you have strong opinions, bordering on the obnoxious? A delightfully twisted view of the world? An impressive vocabulary? A pencil? Let’s recycle that rant rumbling inside of you into a witty essay that you might actually sell (which would cover the fee of this course). How good does that sound? Exactly. Instructor Blog: Click here to go to Lisa’s blog.